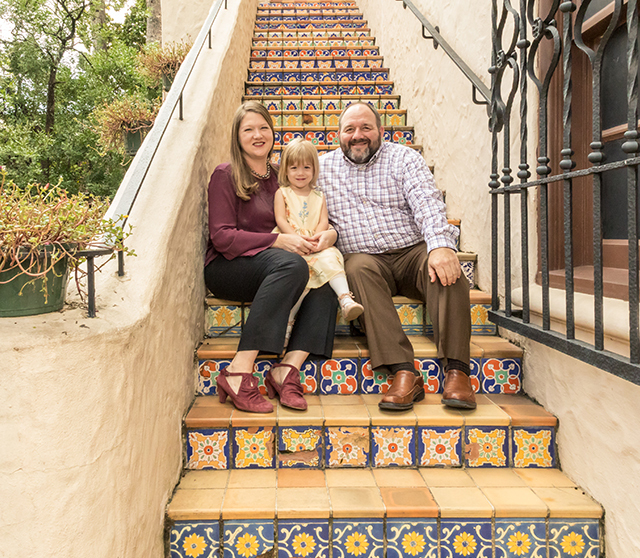 For groups of eight or less, each session includes 20 minutes with McNay staff photographer in front of the McNay's iconic courtyard staircase. Following the session, you will receive three fully edited, high resolution digital images chosen by the photographer. These will be ready for you to use for family portraits, holiday cards, and more! Tile staircase in the Blackburn Patio, built 1927-29 for the McNay-Atkinson residence. McNay Art Museum.